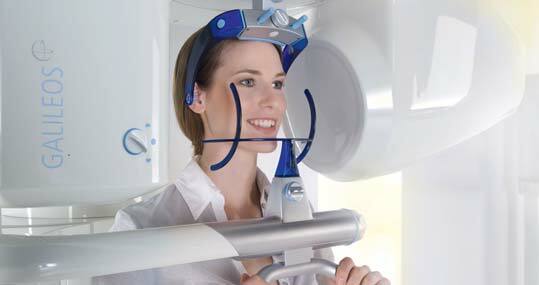 3D Imaging - Improved safety and success for our patients. Periodontics & Implant Center of McKinney is the first dental practice in the McKinney to have its own cone beam CT scanner. 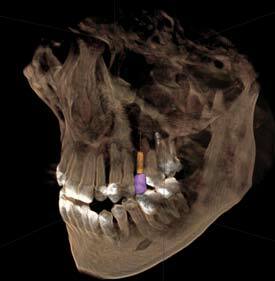 Cone beam CT technology has wide ranging applications particularly in dental implant therapy. 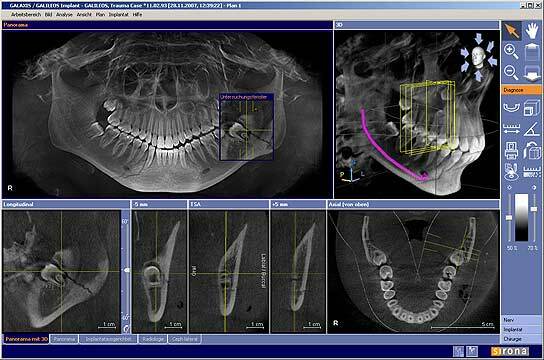 Our CT scanner provides Dr. Chang and his team with three dimensional images of a patient’s jaws and allows for pre-surgical virtual surgery resulting in precise implant placement. This allows us to dramatically shorten surgical time thereby reducing post-operative pain and swelling. 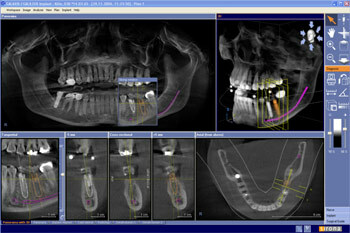 In addition, teeth may be placed on the implants on the same day of surgery based on pre-operative computer planning. In addition to its uses in implant therapy, our CT scanner is useful in planning jaw reconstructive surgery, trauma surgery, TMJ diagnosis and surgery, as well as complex pathology cases. Radiation exposure from cone-beam CT scanners is significantly less than from hospital grade CT scanners, in fact, the amount of radiation exposure is often less than from a full-mouth dental series. CT scans performed in our facility are typically significantly less expensive than those performed in hospitals or imaging centers.